A1A Dock Products 6 Step Wide Step Finger Pier Stationary Dock Ladder, Wide 3.5" Steps, Aluminum. DUE TO SIZE AND PACKING DIMENSIONS THIS PRODUCT DOES NOT QUALIFY FOR FREE SHIPPING. GROUND RATES APPLY. 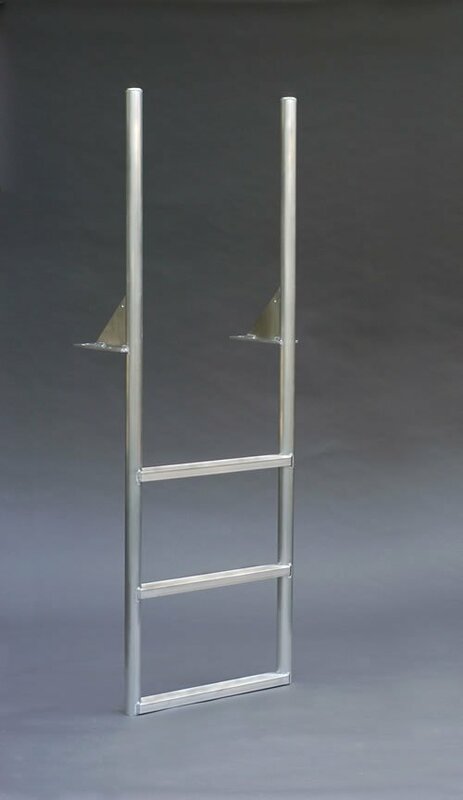 6 Step WIDE STEP Finger Pier Stationary Dock Ladder, Wide 3.5" Step, Aluminum. Telescoping handles offer minimal intrusion into your dock or finger pier. Perfect for tight spaces! DUE TO SIZE AND PACKING DIMENSIONS THIS PRODUCT DOES NOT QUALIFY FOR FREE SHIPPING. GROUND RATES APPLY.